With the 2018 midterm elections reshaping Congress and changing the makeup of committees that oversee communications and technology issues, it’s critical for our industry to be heard on Capitol Hill. NCTA’s 2019 Key Contact Conference is the perfect opportunity for you to join other industry representatives and highlight the impact we make in communities across America. How much has changed? 2019 brings a new Congress, a new party in control of the House, over 100 new Members of Congress and 30 new Members to the Commerce and Judiciary committees in both chambers. Plus, there are hundreds of incumbents who need to be updated on cable’s latest developments and upcoming innovations, including our exciting new 10G initiative. The Key Contact Conference is your chance to engage with Members of Congress and DC staff to highlight the positive impact your companies' investment, jobs, and innovative services are making in communities all over America. Meetings on Capitol Hill provide the opportunity to share your local stories and discuss with Members and staff the way public policy issues and legislative proposals affect innovation, investment and their constituents in the communities we serve. Some of the prominent issues before the 116th Congress include net neutrality, privacy, rural broadband, spectrum usage and local franchising. The Key Contact Conference also provides the opportunity for you to network and share success stories with colleagues from across the country. Register now to attend and plan to join us in DC to meet the freshman, reconnect with reelected Members and tell cable’s story. The conference is open to NCTA member companies and State Association Executives (and staff) only. Information for scheduling and coordinating Hill appointments for Tuesday, May 14 and Wednesday, May 15 can be found here. Briefing materials will be provided closer to the time of the conference. The Key Contact Conference will take place at the Grand Hyatt Washington, located near Metro Center and just a short taxi or Uber ride to congressional office buildings. 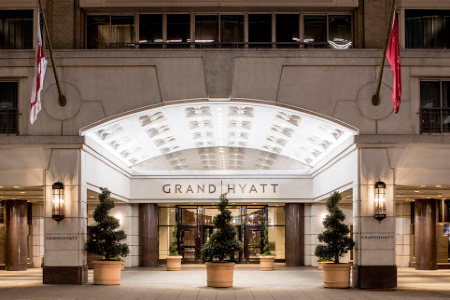 The Grand Hyatt is about 15 minutes from Reagan National Airport.